Accompanying the Thundertank are Panthro (At the controls), Lion-O (Up front), Cheetara (Left Thunder Racer), Tygra (Right Thunder Racer) Wily Kit and Wily Kat on their hoverboards (Flanks) and Snarf (Sitting on the engine). It's been five years since we reviewed Cheetara. We've since misplaced her bowstaff. For our review of the lovely Cheetara, click here. Presenting the 3rd party Perfect Combiner PC-08 armor, hands and feet upgrade kit for the Combiner Wars Optimus Prime. To read more about our Reprolabels upgrade, click here. This is our 3rd review involving the Combiner Wars Optimus Prime. All three past reviews involved complaints about how unstable, unsightly and ungainly his hip area was. Presenting the Walmart Exclusive Jedi-Adept Rey from the Star Wars 3.75 Episode VII Black Series action figure toyline. We don't collect Star Wars Episode VII figures because, quite frankly, we don't feel like throwing away good money for action figures that only have 5-points of articulation - especially since we know from both the Star Wars Vintage and Black Series that Hasbro and Disney can do waaaay bettter than that. It's 2015 after all, why should we settle for anything less than the best? 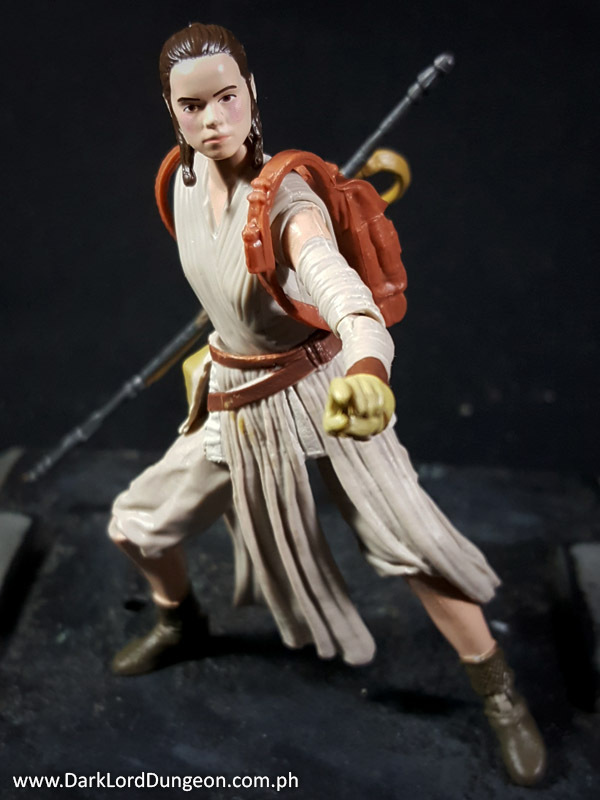 Check out our Black Series Rey review here. So we waited and waited, and finally got our hands on the Walmart exclusive Rey 3.75 Black Series Action figure that you see here. And boy can she move. A while back we announced that vinyl artist extraordinaire Jan Calleja was having his second exhibit. 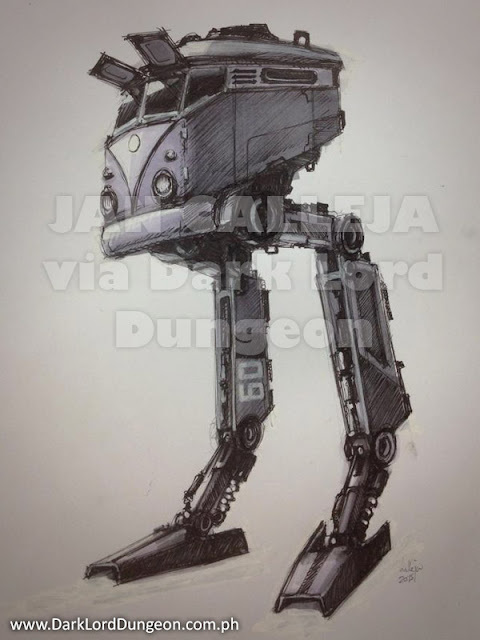 The exhibit entitled Jan Solo II was an inspired amalgamation of modern vehicles with iconic STAR WARS vehicles. Jan recently announced that the original artwork behind the highly successful Jan Solo II exhibit is now on the market for collectors. MORE SAMPLES OF JAN CALLEJA'S ARTWORK FOR SALE AFTER THE JUMP. Presenting November Annabella "Nova" Terra, a power psychic "Ghost" from the Terran Dominion AKA Agent X41822N from NECA toys. 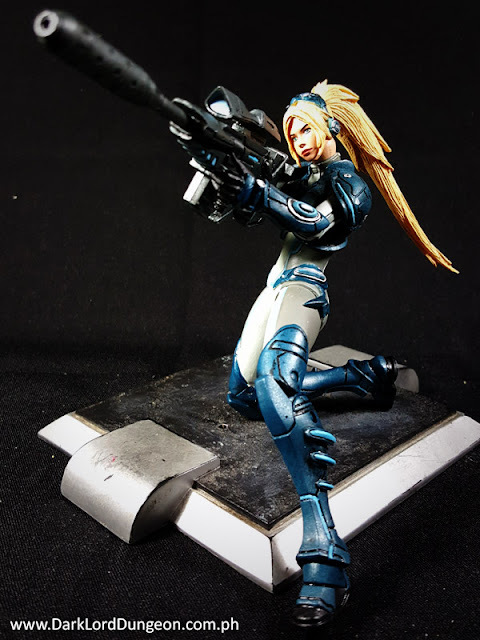 In 2006, a game called Starcraft Ghost was supposed to hit the market featuring the Ghost November "Nova" Terra. Sadly it was cancelled and we never got the chance to play the hot and extremely powerful psychic Ghost of the Terran Dominion. Not to be one to waste such a good character Blizzard re-purposed her as a character in StarCraft II: Wings of Liberty, pitting her against the Spectres led by the rogue agent Tosh, and; as a playable character for Heroes of the Storm - a Multiplayer Online Battle Arena game developed by Blizzard Entertainment involving characters from Blizzard's various games. 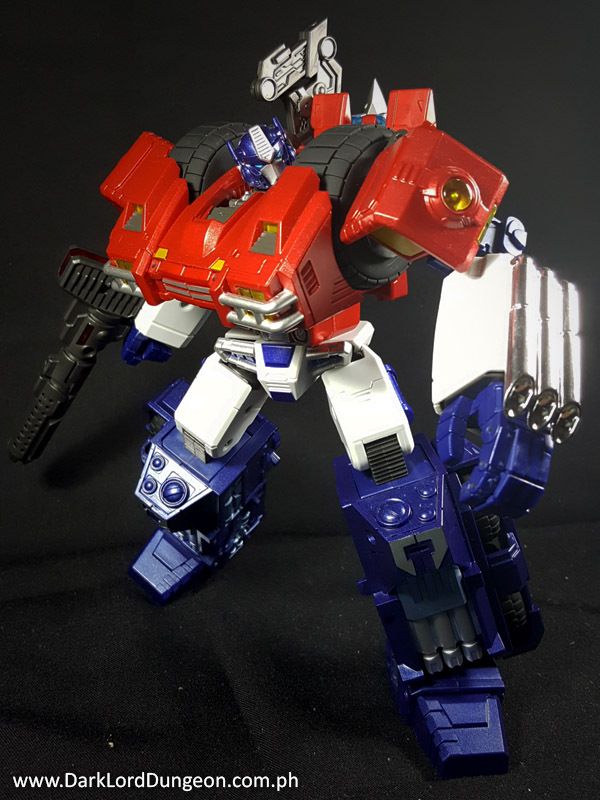 Presenting Alpha Pack ST-01 the War Within Optimus Prime from Spark Toys. We're not real fond of 3rd party Optimus Primes. 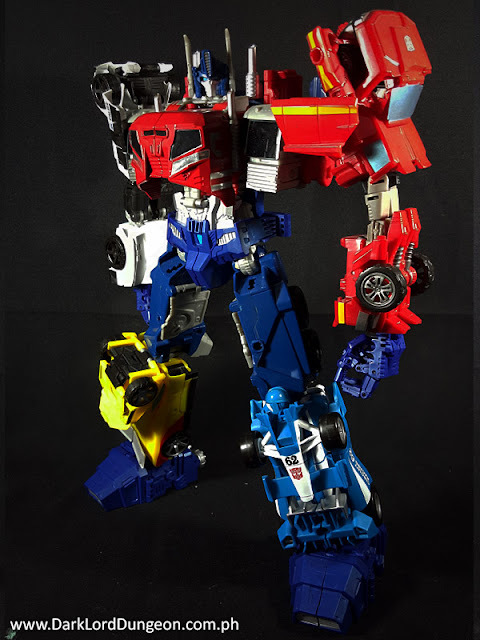 Both the MO1 and MPP10 Optimus Primes recently joined the Dungeon and quite frankly - despite the fact that they were well made and were quite durable - there was just something.... fake... about them. So we never even bothered to review them. Never even transformed them. They went straight to the shelf. Then there are the 3rd party Optimus Primes like the Xovergen which is extremely hard to play with and is quite fragile. For more about our Xovergen God Armor Optimus Prime, click here. So we were pleasantly surprised when we opened up the Alpha Pack ST-01 War Within Optimus Prime from Spark Toys. 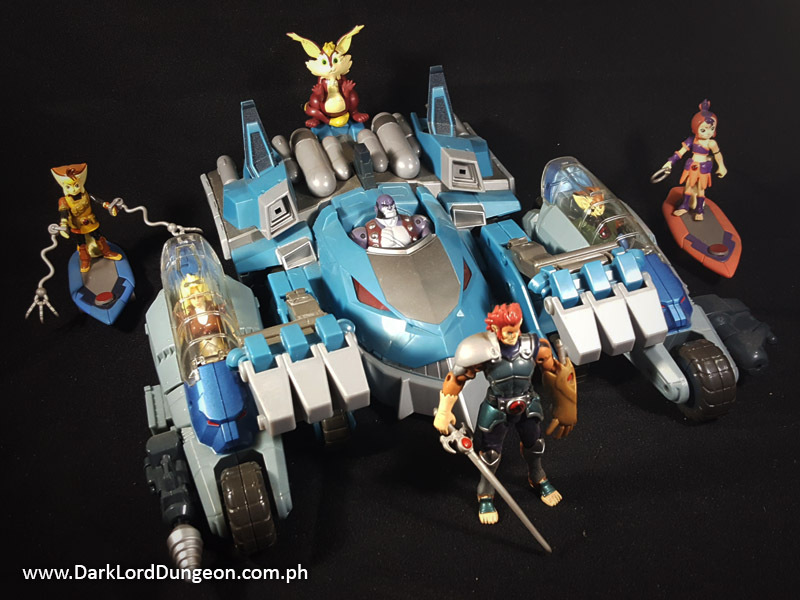 Despite the box saying it was made out of 400 laser print molded parts, it did not feel cheap, fake or wrong. It felt like an Optimus Prime.